This year, I’m teaching my daughter kindergarten math without curriculum. Kindergarten is the perfect time to “play” school, and kindergarten mathematics is the best place to start with making learning fun. When my oldest was beginning kindergarten, I excitedly bought a variety of curriculum for him so I could find the best. I had more teacher’s manuals than I could count on one hand. As a result, there were many tears. I persevered. He loved learning (especially math), so he survived the year of double math (among other things). But each child is different. I knew that if I forced a the same methods and curricula on second child, it would only cause her to hate school time. I needed a new solution. To my surprise, our best result has been to completely drop the kindergarten math curriculum. Here are some tips to make sure your kindergarten math time nurtures your five- or six-year-old child’s natural love for learning. Use games. Playing card games and board games helps my daughter gain basic number recognition as we count around a board, recognize doubles, and recognize common number pairs. Our current favorite game to play during math time is Skip-Bo, which builds on number sense in great ways! Read great books. I love reading with my kids. Much of the time, a great picture book can introduce a mathematical concept to a kindergarten-age child in a way that is more memorable than any worksheet-based curriculum could do so. You could even make up your own stories as you go about your days. Make it real. My daughter loves her analog watch. It helps that it is Minnie Mouse that shows her the time! As we make a schedule and set timers, she learns about passing time, time in general, and reading the time (very generally, at least, in terms of hours). She also loves getting money and shopping at a garage sale with me. Since garage sales deal with small amounts of money (and we can usually find something for a quarter), this is great practical experience. Consider having your child help cook to learn fractions, and counting the bottles of tomato sauce on a grocery run. Even things as simple as helping set the table (How many plates? How many knives?) can count as kindergarten math. Get moving. My daughter loves anything involving running or jumping around! Use your trampoline to practice counting by tens, or make your math practice a dance party. Play with toys. In teacher talk, a “manipulative” is something that a child can hold (or manipulate) to help solidify a concept. In your home classroom, anything can be a manipulative! We play with beads, marshmallows, paperclips, pom-poms, mini-erasers, stuffed animals, snap cubes, small plastic jumping frogs. Anything goes! If you can count it, it can be used for math learning. I love the math curriculum-provided manipulatives too, like Cuisenaire rods (also called centimeter rods). After Planning. As a new homeschool mom, I know would have panicked if someone had suggested ditching the curriculum. Kindergarten is the best place to do so, though, as many states do not require it anyway. In addition, kindergarten concepts are basic enough that you probably cover them on a daily basis. Any gaps that remain are certain to be reviewed in first grade mathematics. To keep track of what you’ve done, sit down after the day is over and write down in your planner what you did. I call this my “after planing” method. I don’t usually plan out our day before we start: I let her choose what we do and we live life. Chances are you can find some way those things relate to math! 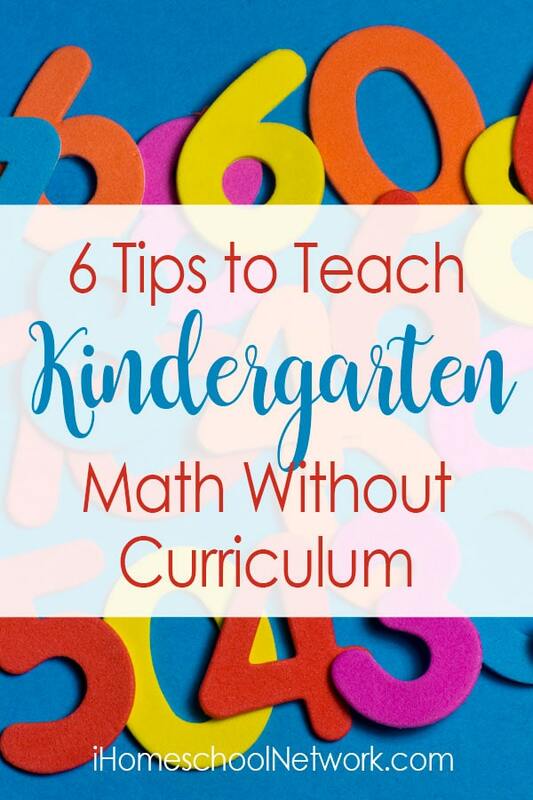 Here are the basic concepts commonly addressed in kindergarten math curricula for a whole year. I hope as you read through this list, you’ll think of more ways you can play games, read great books, get moving, make it real, play, and after plan to do your kindergarten math without a curriculum together. It’s more fun than you’ll believe! Count to 20. (Start with counting to 5, then go from there). Understand how to count to 100. Add and subtract within 10 (using manipulatives or images). Add and subtract within 5 (fluently). Compare numbers (greater than and less than) under 20. Understand that teen numbers are 10 + a number between 1 and 9. Compare sizes, such as length and weight, in general using words such as taller, bigger, or shorter. Identify, compare, sort, and create basic shapes and make new shapes from them. Recognize the hour and half hour on the clock. Identify values of pennies, nickles, and dimes. Rebecca is a homeschooling mother of three, “Raisin” born in 2007, “Strawberry” born in 2012, and “Kitty” born in 2015. Before she stayed home with her children, she was a professional proofreader. Now that she is home with her kids, she seeks to make learning fun! She loves to incorporate literature, games, and interactive learning in to the homeschooling day. When she's not homeschooling, she loves reading, especially classical literature and history. 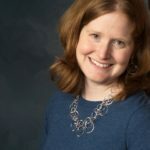 Now that she's a full-time homeschool mother, she finds she spends most of her time reading children’s literature, homeschooling resources, and educational philosophies.